Winter is one of my favorite times to be using the flyrod because the fishing can be amazing. 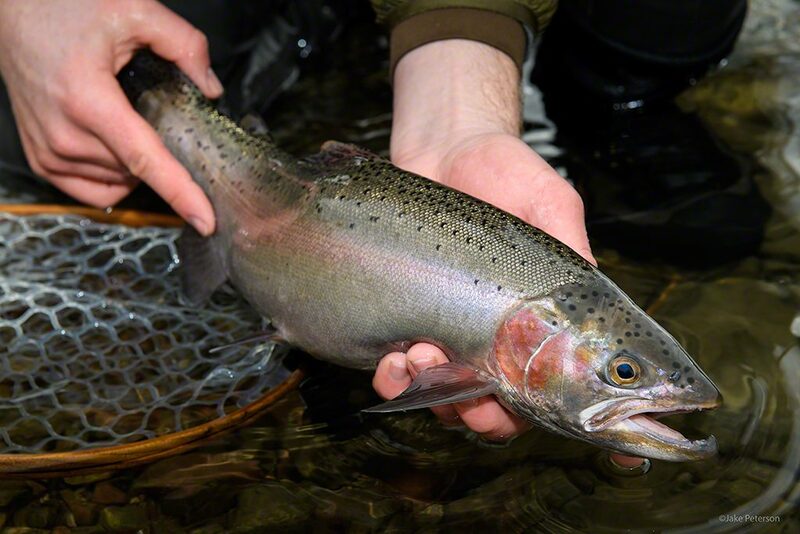 Rainbow Trout spawn in the spring and as they move up the river they become more aggressive. Males can grow large Kype’s on their lower jaw but this one takes the cake. I haven’t seen such a kype in such a small fish before but those little details certainly make for interesting individuals to work with.